Just like Super Smash Bros. for Wii U and 3DS, Super Smash Bros. Ultimate makes use of amiibo. However, there’s one figure this time around that has special functionality. Do you happen to have one of those Timmy & Tommy amiibo lying around from the Animal Crossing series? If so, you can put it to good use in the new Switch game. Scan the figure and you’ll unlock Timmy & Tommy’s shop. Head on over to Spirits mode, then “Collection”, and then the “Shopping” icon. You can then spend SP on new items and spirits. Even better, some items may go on sale occasionally. It’s currently unclear if the shop can be unlocked through different means. We’re also unsure at present if any other amiibo have special functionality. 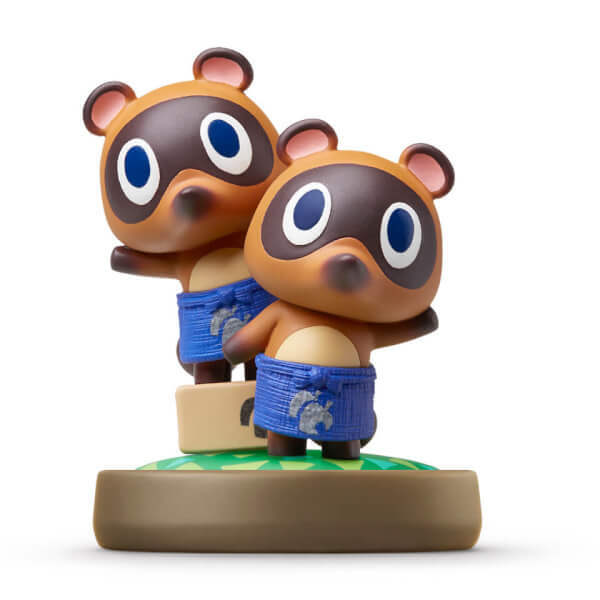 If you don’t have the Timmy & Tommy amiibo, Amazon has it for just under $5 (though the price may go up if there’s a rush to get the figure now).